Irish police are trying to figure out what exactly happened on an Aer Lingus flight, after mysterious circumstances left a man dead. 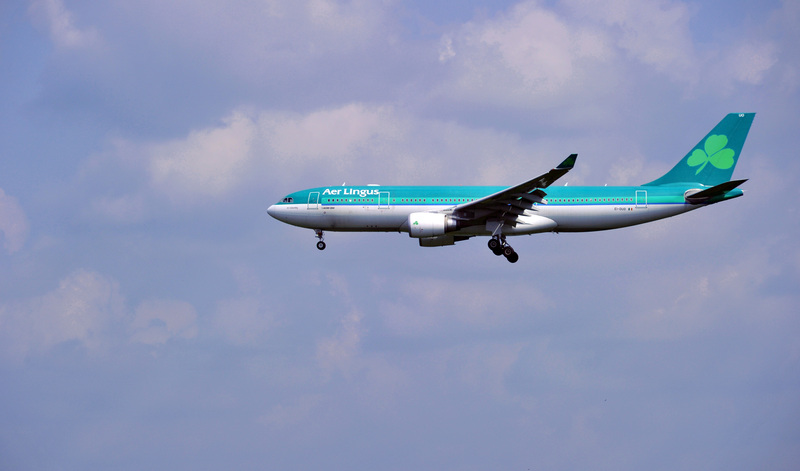 According to An Garda Siochana, Ireland's national police force, a 24-year-old man died after biting another Aer Lingus passenger on Sunday. The man became agitated, say officials, and had to be restrained as the Dublin-bound flight diverted to Cork. It's not clear how the man died, but a post-mortem is being performed, as officials continue to investigate the situation. The flight was diverted to Cork airport when the man on board became agitated. He was attended to by a doctor and nurse who were on the flight but was pronounced dead at the airport at 6:40 p.m.
Other reports have filled in a few gaps. According to Irish news site RTE, the man bit the passenger about an hour into the two-hour flight, prompting the crew to restrain him. Shortly after, the man became unconscious, which led the captain of the flight to declare a medical emergency and divert the flight to Cork. The plane landed in Cork around 5:40 p.m. local time. Horrible. I would say a very violent end — to die that way in the back of an aeroplane, it's not right. It was not very pleasant at all ... He was actually on the ground shaking violently. The noise he was making was like something I have never heard before. The deceased man, who had been traveling alone, has been transported to Cork University Hospital, where doctor are performing an autopsy on him to find an exact cause of death. A second man was also taken to the hospital after sustaining an injury during the flight. RTE also reports that officials have questioned the flight's estimated 170 passengers, as well its crew members, which should hopefully help piece together what happened. Meanwhile, on the same flight, the Garda announced that they found "1.8 kilograms of amphetamine in the luggage of a woman in her 40s." The woman, whom officials believe is a Portuguese national, was arrested and detained. It's not clear whether there's any connection between the arrested woman and the man who died.